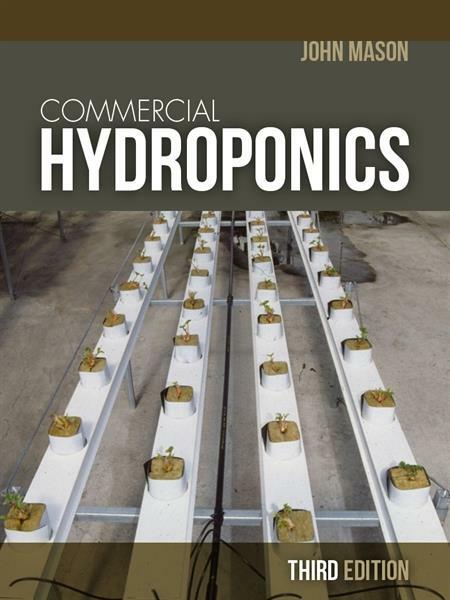 Completely revised and updated, this third edition of Commercial Hydroponics includes advice on growing an additional 16 new plants, including okra, water chestnuts, cherries, citrus gypsophila and lisianthus. Packed with information on how to grow different types of vegetables, fruit, cut flowers, herbs and other plants, commercial hydroponics has become a standard text for anyone growing plants in a hydroponic system, whether on a domestic or commercial scale. Emphasis is placed on plants that are commercially viable and ways to manage and improve crop profitability. This comprehensive guide to the commercial growing of plants in hydroponics includes colour plates and many black-and-white diagrams and photographs. The language is clear and a concise directory of suppliers is included. LEARN MORE AND STUDY HYDROPONICS with the authors of this book, visit ACS Distance Education here.